Our office is equipped with state-of-the-art digital radiography. 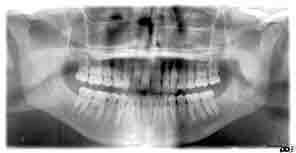 This marvelous technology allows us to image all of your teeth, temporomandibular joint (jaw joint) and sinuses with only a fraction of the radiation of traditional film based radiography. Digital radiography also eliminates the need of all chemicals used to develop traditional film-based x-rays--which is good for our environment as well. Take a look at what Digital Radiography has to offer! We are all exposed to natural radiation in our environment. The amount of radiation exposure from a full mouth series of digital x-rays is far less than the amount a person receives in a single day from natural sources.